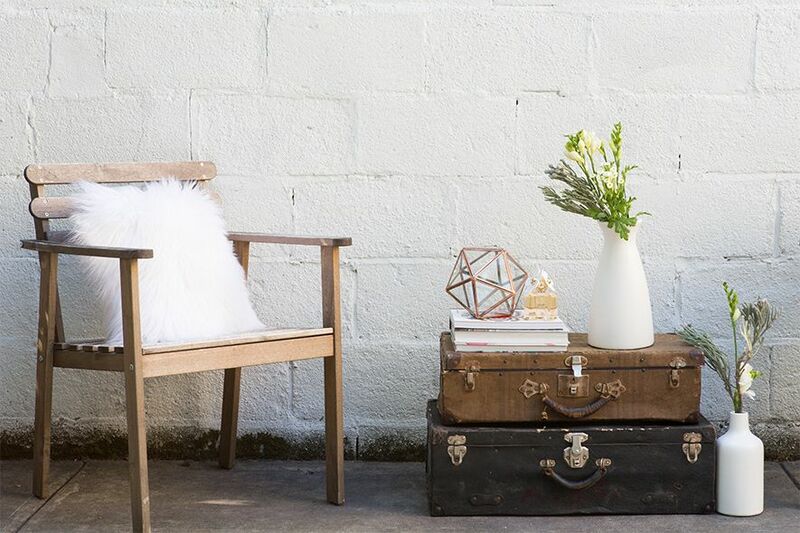 A leading design professional wanted to give her backyard the ultimate makeover for a chic party and turned to Marc Jacobs Daisy for inspiration. A memorable fragrance is more than just a perfume. It’s a scent that wakes up the spirit and lives, fondly, in one’s memory. To summon that evocative spirit of Marc Jacobs Daisy—a seductive whirl of violet petals, gardenia, and jasmine—we reached out to New York City-based prop stylist and set designer Chloe Daley to show us what Daisy means to her. 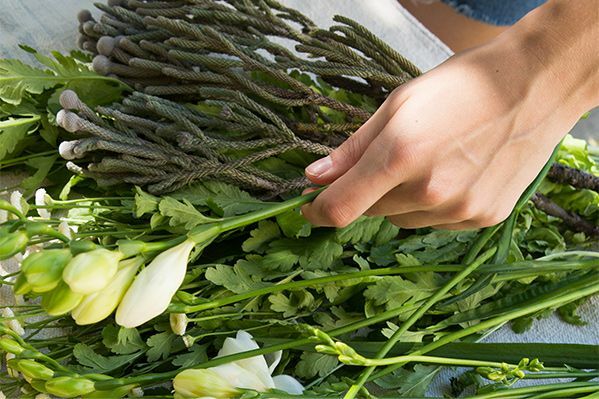 “Daisy is the epitome of freshness and a carefree spirit,” she says, “exactly what summer ought to be. 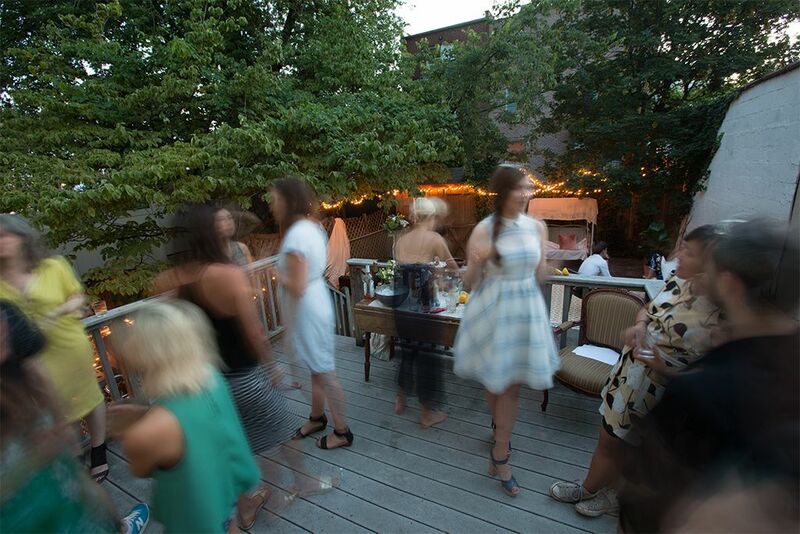 It inspired me to throw a party that felt put together—a little luxurious, but completely playful, with a touch of whimsy.” See how Daley, with help from Daisy, thoughtfully transformed her Brooklyn backyard deck into a casually sophisticated urban-boho oasis. 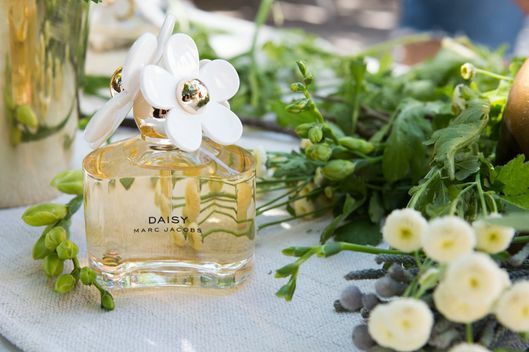 “The Daisy fragrance embodies a party where everyone can move about freely and kick back comfortably,” Daley says. 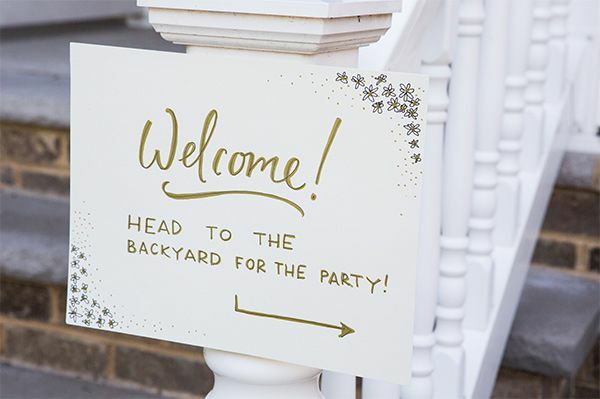 Her roommate, illustrator Lindsay Calhoun, drew the whimsical sign that invites guests to the festivities. 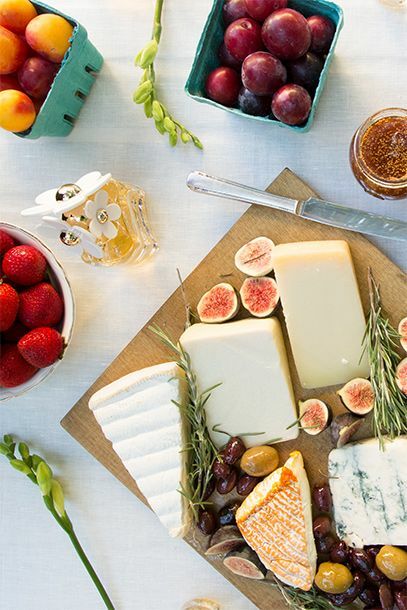 “I like to separate the food and drinks to give a natural flow to the party,” Daley explains. 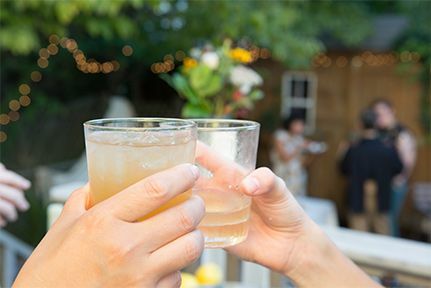 “It lets guests move around easily, so they meet more people. This time around though everyone wanted to hang out on the deck with the drinks!” The drinks were crafted by designer friend Chris Rushing, who created cocktails inspired by Daisy. (The recipe, which Calhoun also etched on cards for guests to take home, is: 2 oz. tea mixtures, 2 oz. 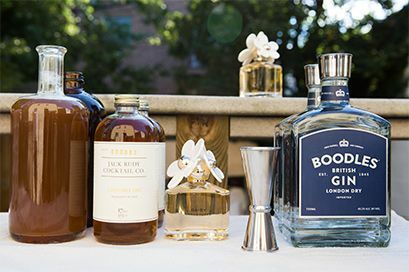 Boodles gin, 1 oz. elderflower tonic, 1 oz. fresh lemon juice, and bitters to taste.) 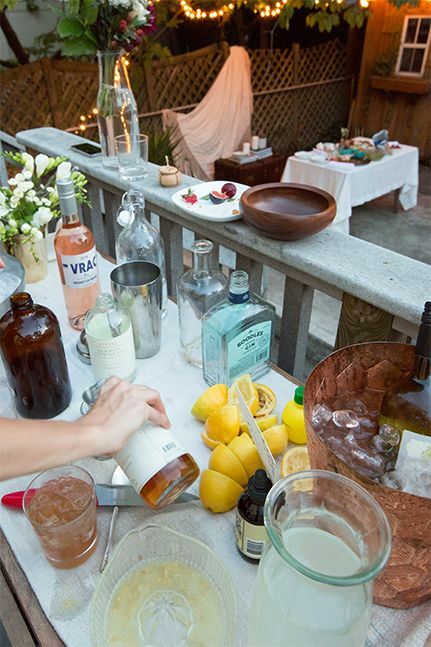 To reveal the party’s theme, Daley placed bottles of Daisy around the space for curious guests to draw inspiration for themselves.